I joined the Royal Navy as an Officer after completing my Mechanical Engineering Masters at the University of Sheffield. After an intensive training and academic curriculum, I qualified as a Nuclear Reactor supervisor, serving on Vanguard Class Submarines. I have been truly fortunate to have lead and worked with teams of highly trained technicians and operators in particularly challenging operational conditions. Our culture as Submariners seems like the perfect preparation for the Talisker Whisky Atlantic Challenge, whether it is knowing everything there is to know about our boat, looking out for our team mates, managing watch systems, all while contending with sleep deprivation and dealing with the emotions of leaving our loved ones. I have always enjoyed pushing myself physically and have been fortunate to have had a career which has encouraged this endeavour; be it indoor rowing competitions whilst deployed on operations, competing at Ironman 70.3 events or representing the Royal Navy at the International Defence Forces Rugby World Cup in Australia. My sporting highlight however was standing in front of a packed Twickenham stadium, singing the national anthem before playing the Army in 2012. I count myself incredibly lucky to have had a brilliant support network in the form of my girlfriend, family and friends over these exciting and challenging years. I am now focused on the task ahead and incredibly proud to be leading the HMS Oardacious challenge in support of some fantastic charities. I joined the Royal Navy in 2012 and after a long and demanding training and qualification process I was awarded my Dolphins onboard Vanguard Class submarines joining a professional elite, facing challenges unknown to most people. Growing up I didn’t have many ideas about what I wanted to do with my life. An interest in Maths, Physics and ultimately Engineering drove me through A-levels at Queen Mary’s College in Basingstoke and onto a Masters Degree in Mechanical Engineering at the University of Portsmouth before discovering by chance the opportunities to be had in the Royal Navy. The initial draw was the opportunity to push myself physically and mentally beyond limits I had no idea I had. Teamwork and shared goals are not a new concept to me. From a young age I have competed in team sports but my real passion was always Rugby Union. Before joining the RN I played for a number of teams and whilst continuing to play since joining have taken opportunities to try new sports and challenges. Making the most of the rare opportunities, I have represented HMNB Devonport in the Brickwood’s Field Gun Competition twice. The Navy also introduced me to a new sport and competitive output - Indoor Rowing, after doing well at an open day competition I was invited to represent the RN in a number of Indoor Rowing Competitions including the 2016 British Indoor Rowing Championships, competing in the same heat as the GB Mens Rowing Team, placing 13th in the Mens Open category. Despite this, the Talisker Whiskey Rowing Competition will be my first experience of open water rowing but it is a welcome challenge. My achievements so far and the challenge ahead would not be possible without the support of my family. The row will pose a significant challenge not just physically but the time away from my Wife and Daughter. Although my time as a submariner has given me experience with this, there is no getting used to it. Archaically and somewhat prophetically, ‘Dylan’ means ‘From the Sea’. 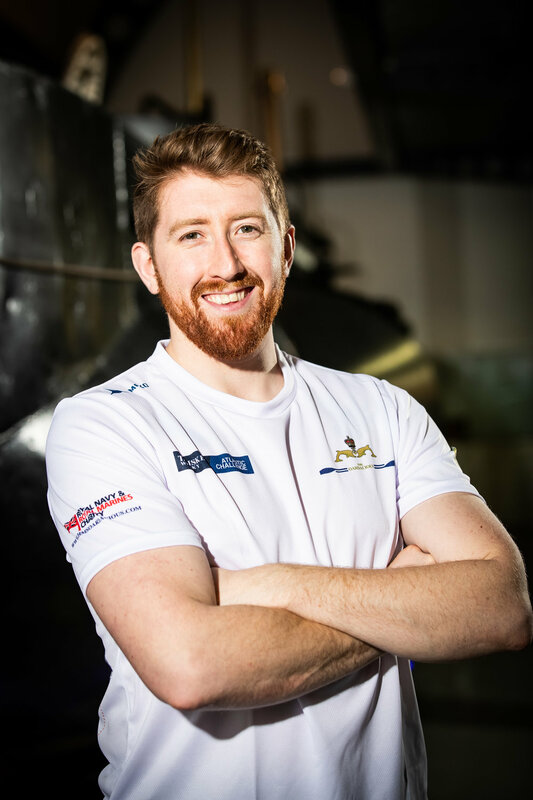 I was born in 1991 in N.Ireland I grew up on the east Antrim coast and in many ways the ocean has always played an important role in my life - though I never thought I would be rowing across one. I work as a Marine Engineer on the Astute class submarines, the most technologically advanced submarines in the Royal Navy. I have been in the Navy for 10 years and enjoy the challenging work and steadfast friendships. I try to take every additional opportunity that comes my way and I am very lucky to say that I have skied, hill walked, cycled, partied and played Rugby in umpteen different countries all under the Royal Navy banner. I had not however ever been asked to row across the Atlantic Ocean! The phone call really was a bolt from the blue. I had just crawled off the rugby pitch after my latest ‘comeback’ from injury, when fellow HMS Oardacious member Hugo rang. I knew he wasn’t joking when he asked me to join a team of submariners attempting to row an ocean because of the excitement in his voice. The very thought of it is audacious (hence the pun) a truly monumental challenge, a truly life changing opportunity. An opportunity that I knew I would never get again. Thankfully the same opinion was shared by my brilliant girlfriend and parents who all drew the same conclusion as me, in short I would regret saying ‘No’. Born in Kirkcaldy, Scotland…made in the Royal Navy! As the 3rd generation of Submariners in my family, I can truly say that these experiences have bolstered my awareness and sense of pride regarding the humbleness and selflessness displayed by Submariners. It has been a real privilege to have observed these qualities across all ranks and rates during my service so far. Over the course of this career, I have been fortunate to have been involved in the Royal Navy Rugby Union Senior squad, through which I have been exposed to a different side of the Navy; becoming friends with servicemen from other areas of the organisation, with whom I would never normally interact in my day-to-day job. Having played in the last 4 Army-Navy encounters at Twickenham, I have learned that the road to such an occasion is long, and full of highs and lows, requiring commitment, teamwork and a real sense of humour as a group! 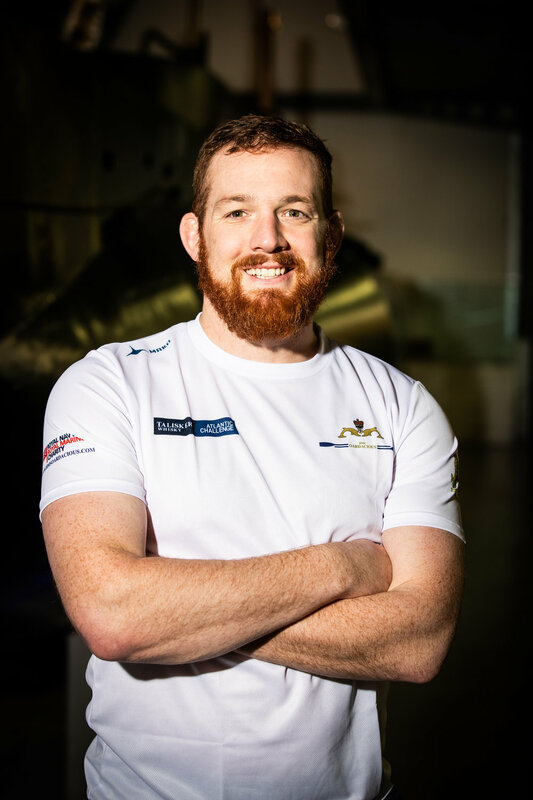 I hope to bring this experience to the team and challenge that lies ahead; with 3 like-minded teammates, I know this will be something we, as Submariners, the Submarine service, the Royal Navy and ultimately, our loved ones, who we sacrifice enough time away from as it is, will be proud of! I am privileged to have the constant backing and support from my Wee Boy and my Partner in all these endeavours.